We were certainly privileged to fly south, UP THE NILE, to Luxor - the site of the Karnak and Luxor Temple ruins. After a day of touring ancient ruins, relaxing in the gardens with a kazoosa (think 'gaseous', generic name for a carbonated soft drink) or a cup of tea was a welcome delight. Naturally, I had to Google the hotel name to see if it is still operational. WOWzers! It is now owned by a huge 5 star hotel chain and has been greatly renovated and modernized. 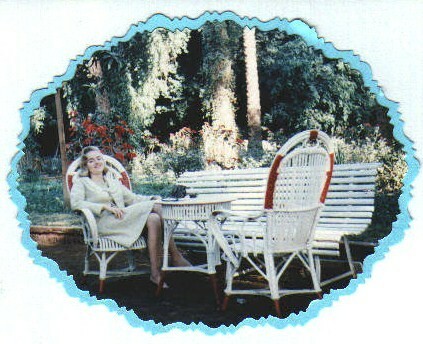 Nevertheless, no amount of luxury could top the enchanting experience we had in these gardens in 1966. Here's the link to the Sofitel Winter Palace Luxor, (http://www.sofitel.com/gb/hotel-1661-sofitel-winter-palace-luxor/index.shtml). You'll have to copy and paste it into your browser as photo albums do not support hyperlinks, but it is well worth the effort. If you like reading about travel destinations, you'll want to read and view a virtual tour of this luxurious hotel at Luxor! The façade has changed little since we were there, but the gardens have definitely changed, and the bedrooms have certainly been updated (see next photo in this album for a comparison). Their description: "Winter Palace built in 1886 on the Nile banks in a tropical garden is a magical experience of history luxury that hosted royalties and celebrities throughout the years. Winter Palace offers the mythical atmosphere with the modern decor comfort of a 5 star hotel. It is located in the city center directly across the street from the Nile River, and just minutes from Luxor and Karnak Temples and the Luxor International airport." Ed writes, "When we were in Luxor in the 1960's, the airport was far from international. It was more similar to one of the small town airports that you find across our country - largest plane was usually a 20 to 30 passenger prop jet. On our return trip to Cairo, we had an interesting experience on one of those prop jets. We were booked to fly on Aeroflot, the national airline of the USSR. We were sure that all the plane personnel were really KGB agents in disguise. As we boarded the plane and found our seats, we noticed that the plane was only about two-thirds full, which was not especially unusual. What was unusual was what happened next, before we were allowed to take off. The captain of the plane came on the speaker and told us that given the smaller number of passengers than normal and the large amount of luggage that had been loaded, the plane could not takeoff because the weight was not balanced. Never heard of this before! So, the pilots and cabin personnel went around the plane finding people of certain weights and reseating them in various places around the plane until they were sure we had now balanced the load. When they were satisfied, we took off. We were convinced that this was some kind of KGB plot to play with our minds. If so, they achieved their purpose. But the good news is that we made it back to Cairo safely."